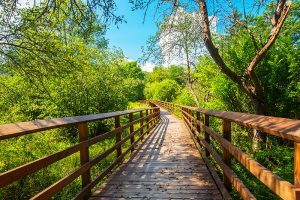 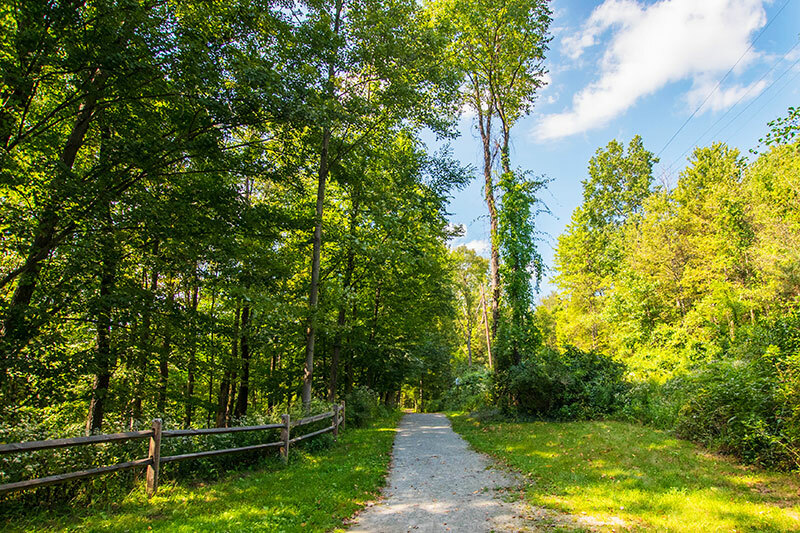 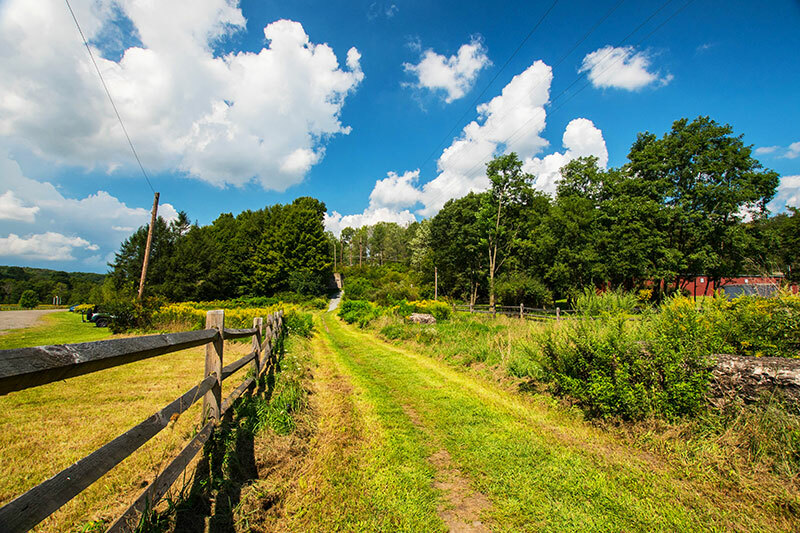 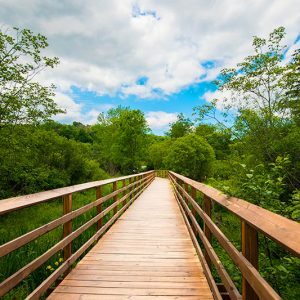 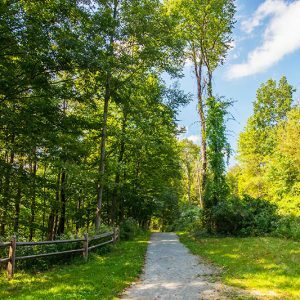 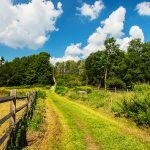 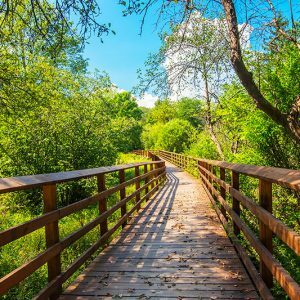 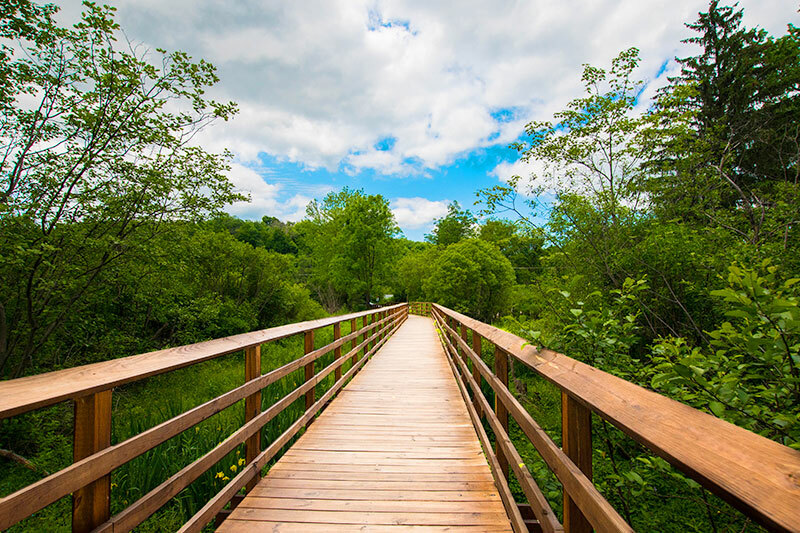 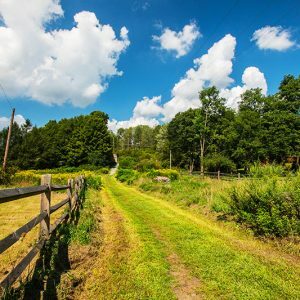 Part of the Countryside Conservancy, the Trolley Trail is a 2.8-mile boardwalk and gravel rail-trail that is accessible by foot, bike, wheelchair, or cross-country skis. 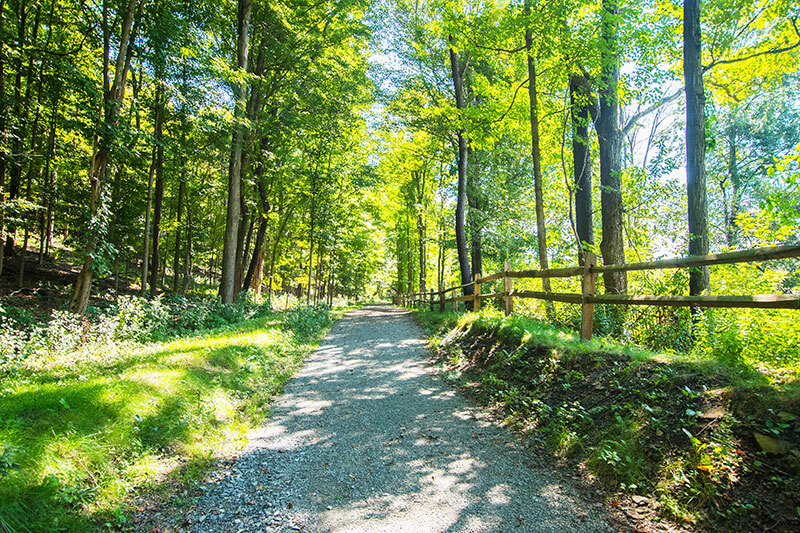 Running between Old State Road, in Clarks Summit, and South Turnpike Street, in Dalton, the trail is wooded and scattered with wetlands at its northern end. 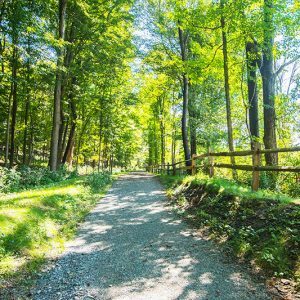 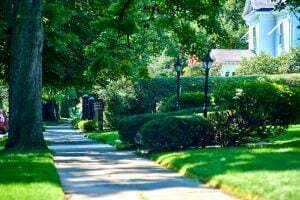 The well-maintained trail features historical and mileage signage, greenery, crosswalks, and a combination of sunny and shaded areas.